Kim Wu was introduced as a new character in Killer Instinct 2, the only game she was in so far, but personally i believe we will see a return of her in the new Killer Instinct on the XBox One as part of Season 2. Kim ui is a Korean Nunchaku using fighter and seen as a guardian of her folk, according to her story her ancestors once banished Gargos and Eyedol. 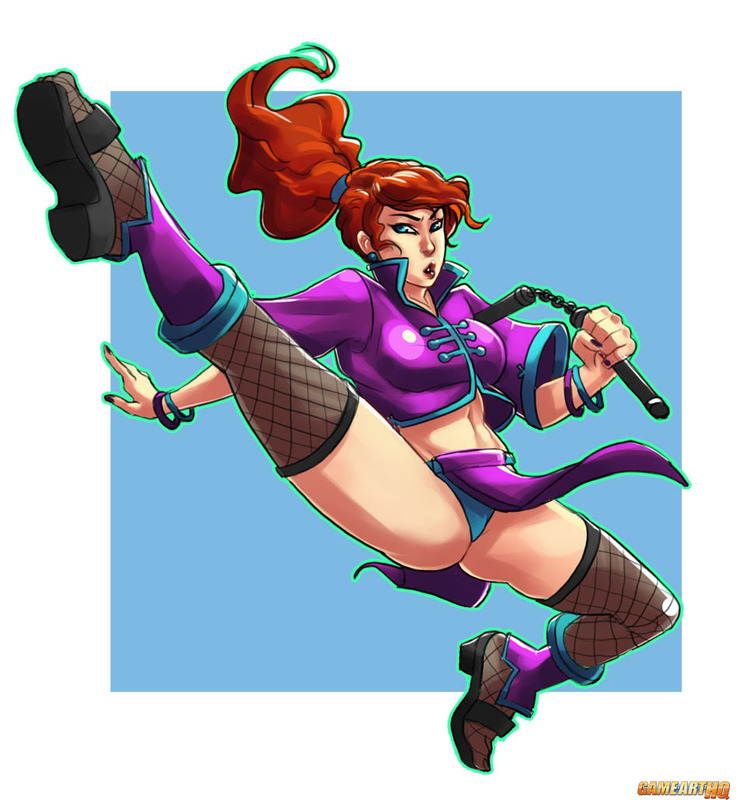 Kim Wu is a part of the Fighting-Games-Elite Killer Instinct Art Tribute and was drawn by two artists for it.